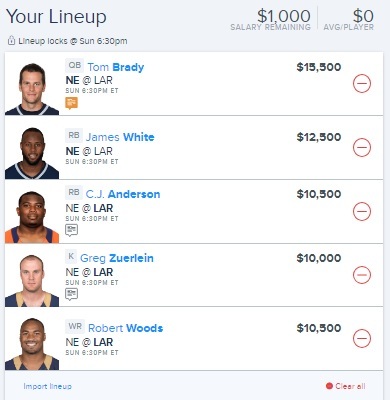 Tom Brady leads the way for this lineup. After what he did last year it is impossible to leave him out of your lineup. I like C.J. Anderson to have a big game too, he’s the hot hand in the backfield and I think the Rams will turn to him over Gurley. My sleeper pick is Dwayne Allen, low salary and will be worth it with one big catch! 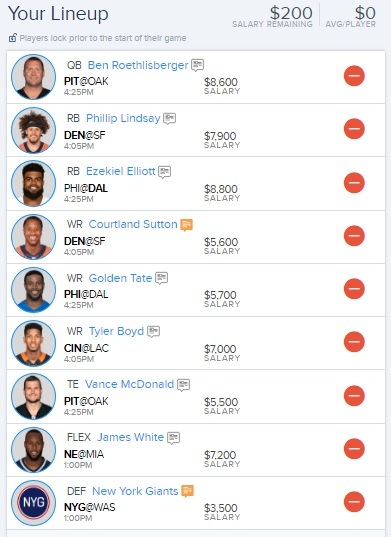 Deshaun Watson has a huge upside in this match up, so I will be going with him to lead the lineup. My sleeper pick is Marlon Mack, I think there will be more offense in this game than anyone expects. 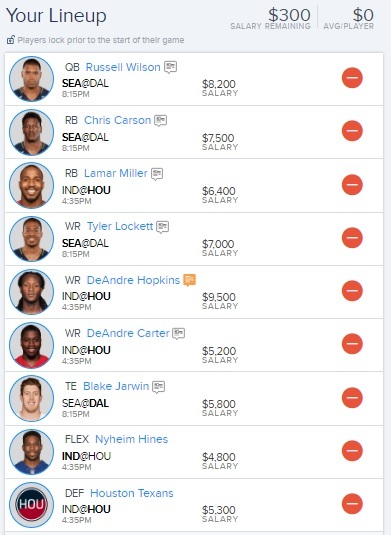 My value pick is Lamar Miller, look for him to get tons of carries. Russell Wilson will use his experience to have another huge post season outing against the Cowboys. My sleeper pick is Nyheim Hines, he could do some damage catching balls out of the backfield. 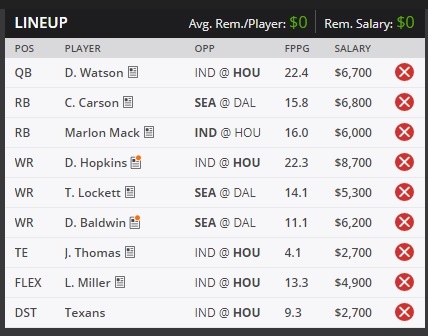 My value pick is Lamar Miller, he could see a huge workload and see the ball on the goal line.